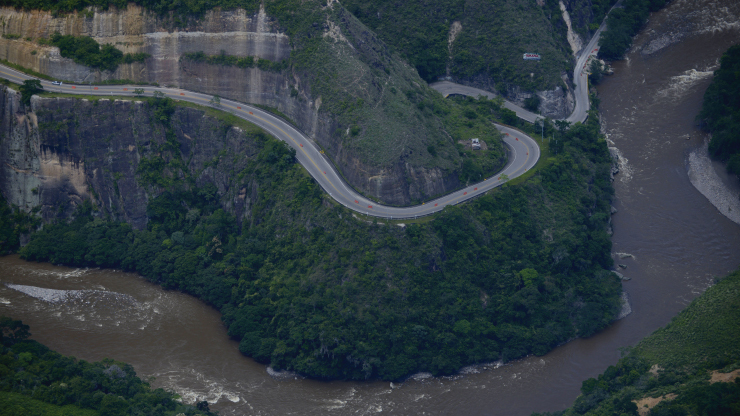 Colombia's infrastructure agency ANI has started the process to terminate the contract for the Santana-Mocoa-Neiva corridor, a project included in the 4G highways program, due to significant delays in the US$930mn initiative. As of December 31 the project had only progressed 5.2% when it should have been at the 54% mark, deputy infrastructure minister Manuel Gutiérrez was cited as saying by daily Portafolio. The delays also resulted in two fines totaling 24bn pesos (US$8mn) against concessionaire Aliadas Para el Progreso. Back in November, Gutiérrez also said that the concessionaire was facing financial problems due to the involvement of its main shareholder, Carlos Alberto Solarte, in the Odebrecht probe, where he faces charges of illegally signing a contract, bribery and unlawful appropriation. Gutiérrez also said that so far ANI has not received any formal offers to take over the project, according to Radio W. However, sources close to the concessionaire told Portafolio that French firm Eiffage, which was previously reported to be interested in the contract, did present a binding offer to the Solarte group to negotiate the partial or total acquisition of the project. "If they [the concessionaire] present a new investor with all the necessary requirements before we define the termination of the contract, then it will be passed on and the issue will be resolved quickly. If not, then we have a medium-term plan in which we declare the termination by mid-2019, Invías takes over the project and works on critical points, and we award the concession again the following year," Gutiérrez was quoted as saying by Radio W.
When consulted about the overall state of the 4G highways program, the deputy minister said that when the current government took office last August, many projects were in a difficult position that was even threatening some of the financial closures that were being reached, which prompted the government to install a "war room" to help these projects progress. Gutiérrez said that there are currently 14 projects in the program under construction and that figure is expected to reach 23 by the end of this month. As for the Ruta del Sol 2 project, which is not part of the 4G program, the official said that works will soon begin to complete the sections left unfinished when the original contract was cancelled due to the Odebrecht probe, while the new concession will be tendered next year. However, he warned that the new contracts will be costly. "We're talking about several trillion pesos," he said. The project will be divided into two concessions, one for the section that had advanced the most before the cancellation and another for the less advanced part.